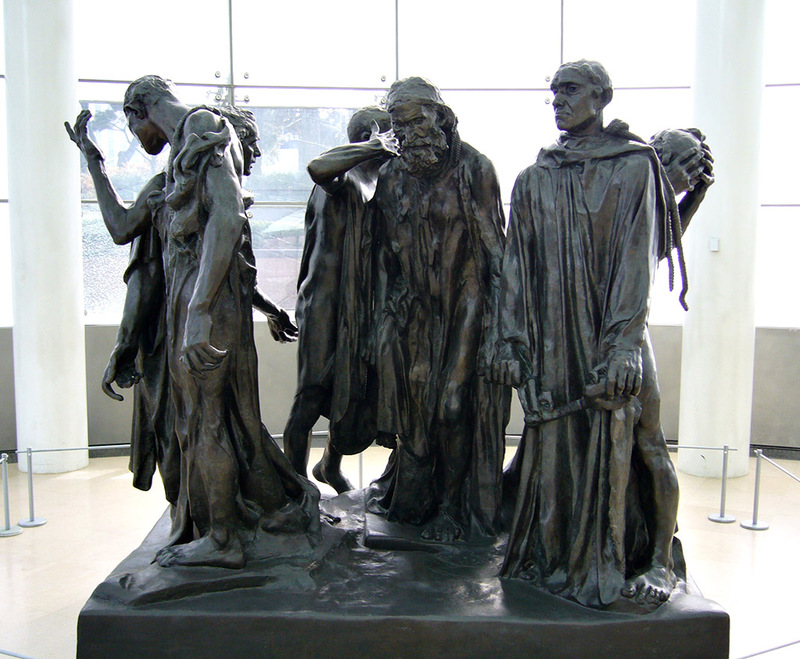 The Burghers of Seoul is a study and a reconstruction of The Burghers of Calais, Rodin’s late 19th Century monument to the French heroes of 1347 who surrendered to the British in order to save the city of Calais. While the first cast of this seminal sculpture sits in front of City Hall in Calais, the other casts are spread around the world. 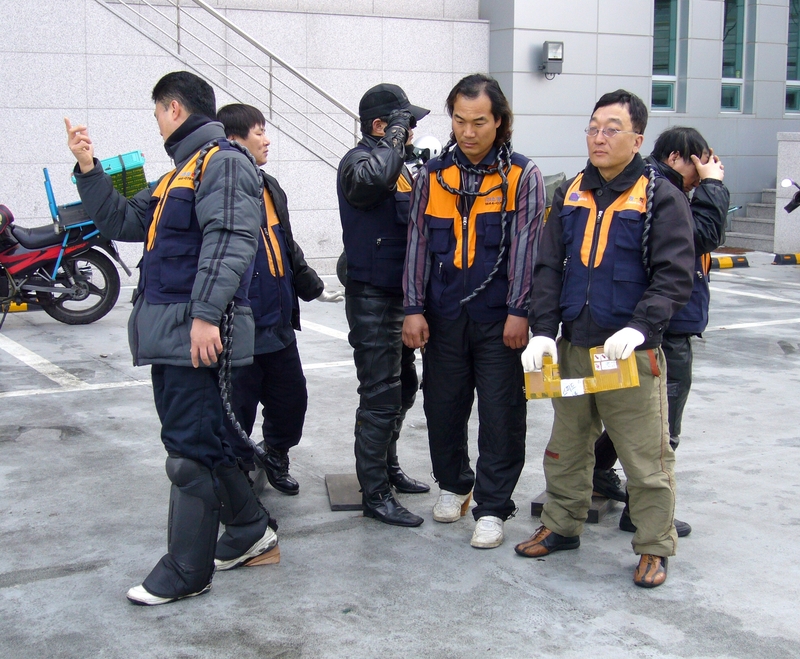 The cast I used is the 12th and final one, located in Seoul, South Korea. Using six of Seoul’s Quick Service couriers I reconstructed the sculpture and then shot it in 24P digital video using a circular track and dolly. The resulting video is a study of sculpture as life and life as sculpture. The artist wishes to acknowledge the assistance of the Rodin Gallery, Seoul (now known as Plateau), the Canada Council for the Arts, and the Quebec Arts Council.